Your NRA-ILA would like to invite you to attend our Grassroots/Legislative Workshop on Saturday, March 2. You will have a chance to meet your NRA-ILA team and find out what is happening at the capitol. You will also find out more about our Grassroots Program and how you can become more involved with our efforts in New Mexico, pick up some information about NRA-ILA, and grab some free swag. Snacks and beverages will be provided. 2019 Legislative Almanac and link for upload to smart device. 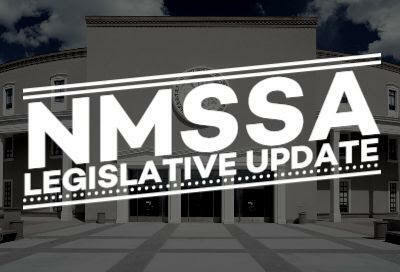 Minutes ago, the New Mexico State Senate passed SB 8 - the Bloomberg backed "Universal Background Check" bill. Now that the House and Senate have passed similar pieces of legislation, it is only a matter of time until it gets to the desk of Governor Michelle Lujan Grisham. 1. 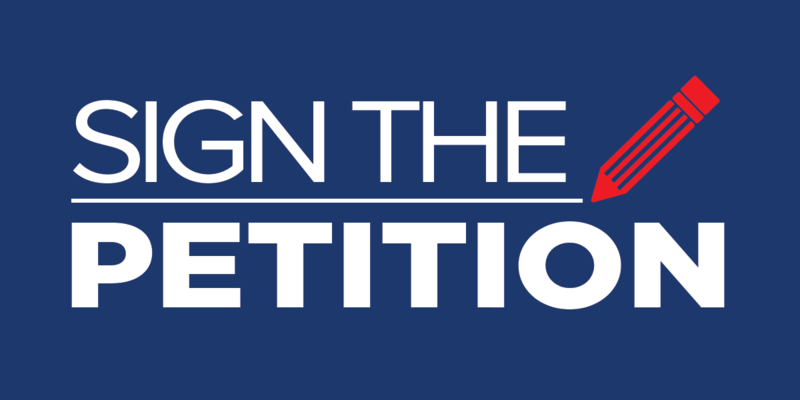 Sign the Petition and we will send the number of signers to the Governor's office before she takes action. 3. Join the fight. Join NMSSA so we can show our strength in the final fight against this particular piece of legislation. There more bills to come, but SB 8 and HB 8 will be detrimental to our state. Take action now! HB83 Extreme Risk Protection Order or "red flag"
House Bill 8: "Universal" Background Checks - Sponsored by Representative Debra Sarinana, would ban all private firearms sales between law-abiding individuals. Gun owners would be forced to pay undetermined fees and obtain government approval before selling firearms to family members, friends, neighbors and co-workers, or fellow hunters, competitive shooters and gun club members. This proposal will have no impact on crime and is unenforceable without gun registration. House Bill 40: Background Checks at Gun Shows: Sponsored by Representative Miguel Garcia, would require criminal records checks on private firearms sales at gun shows - a perennial target of the gun control crowd, even though studies show that these events are not a source of crime guns. House Bill 83: Extreme risk protection order or "red flag" legislation sponsored by Representative Daymon Ely, would authorize the seizure of firearms and ammunition from individuals without due process. Unchallenged statements made by a petitioner before a judge, alleging that someone is a danger to themselves or others in an ex parte proceeding -- prior to any formal court hearing at which the respondent can be represented by counsel and present counter evidence -- would be sufficient for law enforcement to enter that person's home and confiscate their private property. House Bill 87: Domestic Violence & Firearm - by Representative Deborah Armstrong expands the state's "prohibited person" firearm law by purportedly incorporating federal firearm disqualifications. The bill would prohibit individuals convicted of certain domestic violence misdemeanor crimes or who are subject to a domestic violence protective order from purchasing or possessing a firearm, with violations being a criminal offense. However, the bill goes far beyond the categories currently included in federal law, in addition to requiring firearm seizure. It feels like Groundhog Day is arriving early at the Roundhouse this year. Once again, gun control advocates are vowing to pass a package of unpopular gun control laws. And if things play out as in past years, these bill will go nowhere. That’s because New Mexicans value their freedom over the radical gun control agenda of New York billionaire Michael Bloomberg. The gun control bills on Bloomberg Wish List are ineffective, intrusive, and unnecessary measures that won’t make New Mexicans any safer. The Bloomberg Wish List includes a so-called universal background check bill similar to the one New Mexico lawmakers rejected in 2017. The proposal would effectively ban all private firearms sales between law-abiding citizens. Under so-called universal background checks, honest, hard-working New Mexicans would be forced to pay undetermined fees and obtain government approval before selling a firearm to family members, friends, neighbors and co-workers, or fellow hunters, competitive shooters and gun club members. Supporters falsely claim they are targeting gun shows and online transactions. But studies by the U.S. Bureau of Justice Statistics show that less than one percent of crime guns are acquired at gun shows. Further, background checks are already required before anyone takes delivery of a firearm purchased online. Also on Bloomberg’s Wish List is Red Flag or extreme risk protection order legislation. This measure would allow law enforcement agents to confiscate firearms and ammunition from law-abiding individuals. Under this proposal, a person’s ex-spouse, girlfriend, or boyfriend could make unfounded, uncorroborated, and unchallenged statements against an innocent gun owner, costing them their gun rights. No one should lose their fundamental right to protect themselves without a formal hearing before a court at which they can defend themselves. Another Bloomberg priority is a measure that would make it harder for law-abiding parents to protect their families. So-called Child Access Protection laws would allow the government to come into your home and tell you exactly how to store your firearms and ammunition. As a responsible gun owner, I store my firearms in such a way that no unauthorized person has access to them. How I choose to store my firearms may not be appropriate for everyone. Let individuals and families decide what works best for their situation, because each one is unique. Additionally, New Mexico already has a law on the books to hold adults accountable for putting children at risk in this way, or any other manner (NMSA Section 30-6-1). Under current law, it is a felony for a responsible person to knowingly, intentionally or negligently place a child in a situation that may endanger the child’s life or health. The government already has the tools to charge and prosecute these parents or guardians. Gun control extremists are even pushing a bill that would take away a person’s gun rights for making harassing phone calls, texts, or emails. Federal law already bans domestic abusers from access to firearms. There is no need for an additional state law which could easily be abused by a vindictive ex-spouse or partner. New Mexicans who are concerned about crime and protecting our civil liberties deserve better than a Bloomberg Wish List of failed gun control schemes. Every single one of his proposals is unenforceable, ineffective, intrusive and unnecessary. Most importantly, they won’t make us any safer. House Bill 8, so-called "universal background check" legislation sponsored by Representative Debra Sarinana, would ban all private firearms sales between law-abiding individuals. Gun owners will be forced to pay undetermined fees and obtain government approval before selling firearms to family members, friends, neighbors and co-workers, or fellow hunters, competitive shooters and gun club members. This proposal will have no impact on crime and is unenforceable without gun registration. House Bill 83, extreme risk protection order or "red flag" legislation sponsored by Representative Damon Ely, would authorize the seizure of firearms and ammunition from individuals without due process. Unchallenged statements made by a petitioner before a judge, alleging that someone is a danger to themselves or others in an ex parte proceeding -- prior to any formal court hearing at which the respondent can be represented by counsel and present counter evidence -- would be sufficient for law enforcement to enter that person's home and confiscate their private property. House Bill 87by Representative Deborah Armstrong expands the state’s “prohibited person” firearm law by purportedly incorporating federal firearm disqualifications. The bill would prohibit individuals convicted of certain domestic violence misdemeanor crimes or who are subject to a domestic violence protective order from purchasing or possessing a firearm, with violations being a criminal offense. However, the bill goes beyond the prohibited categories in federal law in several significant ways. The state law definition of “household member” – unlike federal law – specifically includes a person who is or has been a continuing personal relationship, which applies to dating or intimate partners who have never lived together. The bill would include, as firearm-prohibiting offenses, nonviolent misdemeanors with no physical contact between the parties (like harassment by telephone or email, or criminal damage to the property or jointly owned property of a “household member”). Unlike federal law, this bill would require anyone subject to a protective order to surrender any firearms they own, possess, or control to law enforcement within 48 hours of the order. Not only does this bill impose a mandatory surrender, it authorizes law enforcement to seize any guns that are in plain sight or are discovered pursuant to a lawful search. Similar legislation had passed the Legislature in 2017 but was vetoed by Gov. Susana Martinez. Significantly, the 2017 legislation contained other options for affected parties to comply with the firearm surrender requirement, including storing their guns with licensed firearm dealers, or transferring the guns to a qualified third party. These key alternatives are not contained in this bill. Please make plans to attend Thursday's hearing to speak out against these misguided bills and contact committee members to urge them to OPPOSE these measures. Please also contact the office of Governor Michelle Lujan Grisham<https://www.governor.state.nm.us/contact/>, who has expressed support for all of these measures, and politely and respectfully let her know that you OPPOSE them. Make sure you put bill numbers in the subject line of your emails.